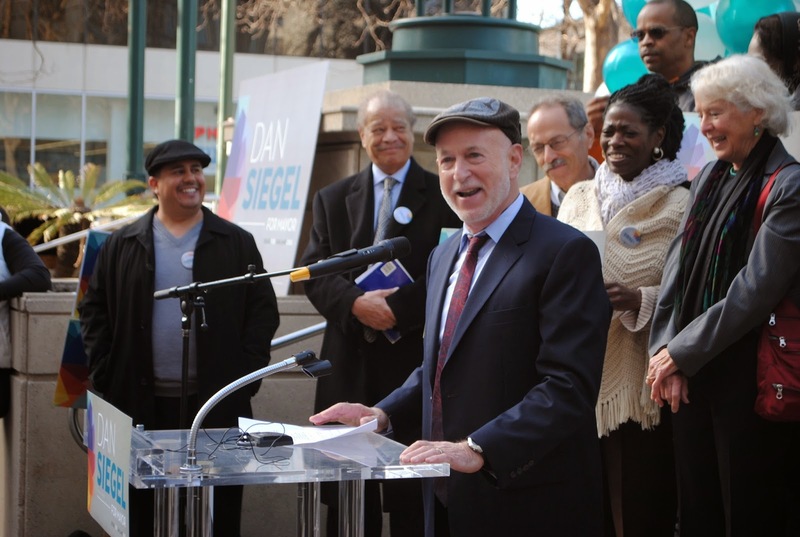 >>>With Bryan Parker, Joe Tuman and Libby Schaaf already in the race, civil right attorney Dan Siegel announces his candidacy for Oakland mayor while pledging to raise the minimum wage to $15 an hour and end the city’s proposed surveillance hub. The former soon to become a major electoral success for workers in the city. >>>Ro Khanna challenges Rep. Mike Honda to four debates prior to the June Primary. It’s the beginning of a year-long debate mostly in the corporate media’s editorial pages over Honda’s reluctance to meet Khanna face-to-face. >>>Rep. Eric Swalwell places a bet over on the San Francisco 49ers playoff game with a Republican representative from North Carolina in a lengthy YouTube video showcasing Swalwell’s acting skills, or, lack thereof. >>>Rep. George Miller retires after four decades in Washington. >>>Oakland mayoral candidate says he will accept campaign donations in the form of the crypto-currency Bitcoin. The futuristic embrace doesn’t exactly help Bryan Parker’s campaign when some in the tech community question his understanding of its usefulness for helping the poor in Oakland. >>>Rep. Mike Honda’s campaign unearths a gem of a video showing Ro Khanna profusely praising the representative’s work in Congress almost two years prior. >>>The early cash receipts in Oakland’s pivotal mayoral race are in: Bryan Parker leads with $140,000 in cash. Mayor Jean Quan, though, struggles to finish third just ahead of Libby Schaaf, whose $119,000 in donations stood as an impressive one-month haul to begin her campaign. >>>Highlighting that the 15th Congressional District isn’t totally Swalwell Country, the Alameda County Democratic Party fell short of giving him their pre-endorsement for the June Primary race against Ellen Corbett. Swalwell, however, will have to pull significant strings to win the endorsement at the Democratic Convention in March. 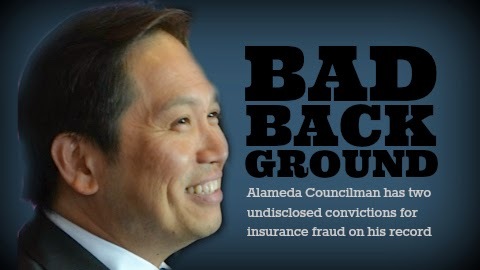 >>>It is revealed Alameda Councilmember Stewart Chen, up for re-election in fall, has a dirty secret. He was convicted two decades prior for insurance fraud, but never told anyone about it despite a long career in public service. >>>With 100 days until the June Primary, a poll shows Rep. Mike Honda leading Ro Khanna by 19 points. The result will be prove prescient come the summer. >>>Port of Oakland commissioners reject maritime uses for Howard Terminal, just north of Jack London Square, paving the way for the possibility of a downtown ballpark for the Oakland Athletics touted by a group of local businessmen. >>>The Hayward City Council takes a Draconian step toward its city workers by imposing a five percent pay cut. Over 300 city employees have been on the job without a contract since April 2013. The union vows to make elected officials up for re-election in June pay for their decision. 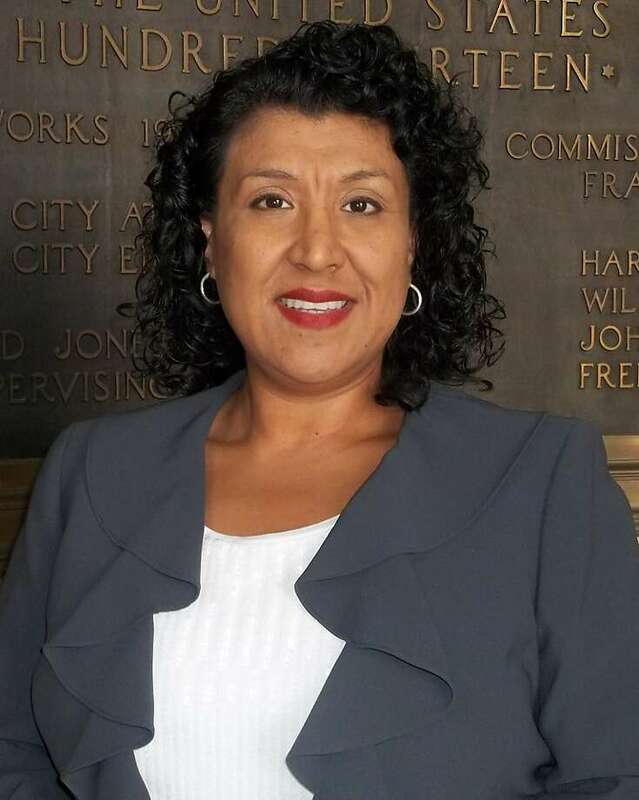 >>>Embattled Oakland City Administrator Deanna Santana resigns her post. In recent months she was a finalist for the same job in Dallas and Phoenix. Her assistant, Fred Blackwell, is appointed to replace her with great fanfare, but weeks later, he too, will leave the city for a San Francisco non-profit. Henry Gardner becomes the interim city administrator through the end of the year. >>>The daughter of one of Rep. Eric Swalwell’s biggest individual contributors snags a job in the congressman’s D.C. office. >>>The controversial Domain Awareness Center, a high-tech surveillance hub originally proposed to protect the Port of Oakland from terrorist attacks, but ballooned into a city-wide proposal, returns to its initial purpose after the Oakland City Council approves limits on the center. This decision marks a major victory for privacy rights activists. >>>The National Journal places Rep. Mike Honda in a seven-way tie for the most liberal member of Congress in its annual rankings. However, among the Bay Area’s eight members of Congress, East Bay Rep. Eric Swalwell is the seventh least liberal. >>>With the mystery of Malaysian Airlines Flight 370 deepening, Swalwell seeks out the advice of American hero and Danville resident, Capt. Sully Sullenberger. Later, Swalwell passes his first bill. >>>A Sacramento Superior Court judge shakes up the CA17 primary when he orders the removal of Vinesh Singh, a political unknown who happened to have the same surname as another Republican candidate some believed would pull votes away from Ro Khanna. Chhallenger Vanila Singh, however, suspects Khanna put up the other Singh into running. >>>At an endorsement meeting for the Hayward Demos, Assemblymember Bill Quirk says the controversial Russell City Energy Center on the Hayward shoreline is “quite healthy,” despite constant concerns by the community that it is not. Quirk’s contention and connection to Calpine through campaign contributions, however, will not become an impediment to his re-election. 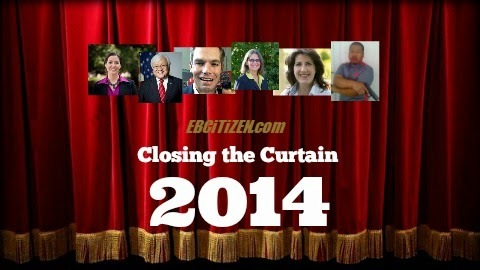 Posted in 2014 Year-in-Review, Bill Quirk, Bryan Parker, Dan Siegel, Deanna Santana, Eric Swalwell, Howard Terminal, Jean Quan, Joe Tuman, Mike Honda, oakland mayor, Ro Khanna. Bookmark the permalink. Good riddance Deanna Santana and thank you George Miller.